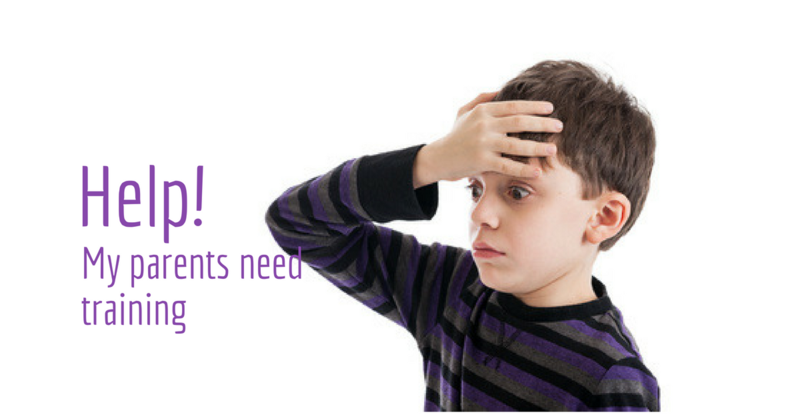 Do you ever feel frustrated when your child makes the same mistakes or repeats the same disruptive behavior over and over? Are you concerned that your child isn't making the progress you know they're capable of? Do you worry about the future of your child if they don't start doing better in social and academic situations? Are you confused and overwhelmed by the many and complex programs and therapies you hear or read about? It doesn't need to be this way. You can learn to teach your child so that they learn and thrive. Your child will be happier and more confident when they know exactly what to do in every situation. You can learn to use TAGteach, an easy, effective method based on positive reinforcement to help your child in many ways. TAGteach is a teaching and communication method based on the scientific principles of Applied Behavior Analysis (ABA). TAGteach enables extremely precise positive reinforcement of a behavior by using an acoustical signal to notify a child that he/she has done something correctly, at the precise moment he/she performs the behavior. The acoustical signal is a short, sharp sound made by a handheld device (the “tagger”). When the child performs the correct action, the parent/instructor immediately presses the button on the tagger and hands over a treat (candy, treat, token, praise, social recognition, or money) as a reinforcer. 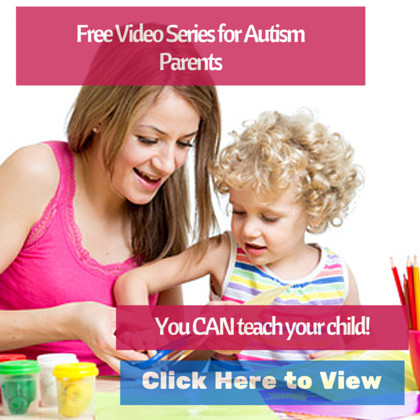 Click here for more information, videos and testimonials about TAGteach for autism. With TAGteach, it is easy to reinforce behaviors precisely and frequently. The immediate, accurate feedback and positive reinforcement result in the child performing the correct action more often, and for longer periods of time. With immediate feedback and learning tasks broken down into small steps, children can learn many new skills with TAGteach. "TAGteach allows us to use positive reinforcement while teaching children diagnosed with autism. Preliminary research at ABC, Inc. has shown positive results using TAGteach. Utilising ABA principles and TAGteach, communication, self-help, play, pre-academic, and gross and fine motor skills have increased. Some examples of skills taught to children with autism by ABC, Inc. using TAGteach include independent hand washing, accurate sign language skills, and vocal imitation lessons. In addition, to increasing positive skills, ABC, Inc. has also used TAG to decrease socially unacceptable behaviors (e.g., toe-walking). TAG significantly increased on-task behaviors throughout teaching sessions." Read an article by Martha Gabler, mother of a non-verbal child with autism, about her use of TAGteach to help her child and herself. 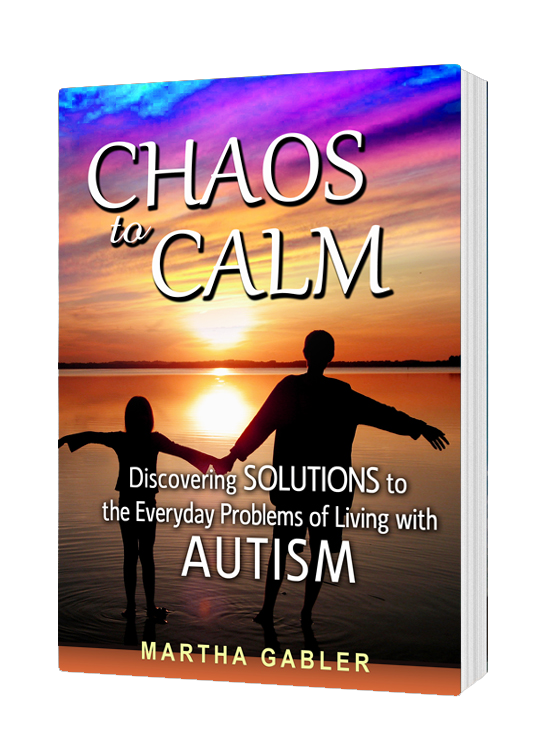 Read Martha's book: Chaos to Calm: Discovering Solutions to the Everyday Problems of Living With Autism. "This remarkable book is something that any ABA person would be proud to offer parents. TAGteach has an important future in the treatment of autism and other developmental delays and this parent has shown the way. I will be recommending the book to both parents and ABA therapists." -Joseph Morrow, PhD, BCBA-D Applied Behavior Consultants Inc.
Click here to read articles on our blog about TAGteach and autism. Listen to an interview with TAGteach cofounder Theresa McKeon by R.Trent Codd, III, Ed.S. LPS on the blog BehaviorTherapist.com. TAGteach offers workshops and consulting services to teachers and behavior consultants. We also offer an online course introduction to TAGteach as well as public seminars. Click here for a list of upcoming seminars. "The seminar was put together in a learner friendly manner, using a wide variety of proven teaching methods. The presenters were knowledgeable and helpful – two key points in presenting so much information to a group of adult learners. I was impressed by the reaction of my employees: engaged in learning, focused, and enthusiastic about the method." Contact Joan Orr joan@tagteach.com for information, rates and availability for private consulting and workshops. Five studies have been published in the peer-reviewed literature. Click here to view the TAGteach reference list. "Can't describe the feeling when your daughter who avoids eye contact looks up at you whilst you're talking to her and holds your gaze. TAGteach and Chaos to Calm did that." "TAGteach has an important future in the treatment of autism and other developmental delays." “Effective interventions require thoughtfulness, innovation, and compassion. TAGteach is a robust intervention worthy of the children who need it." “This will be a helpful tool for parents of children with a diagnosis of autism spectrum."